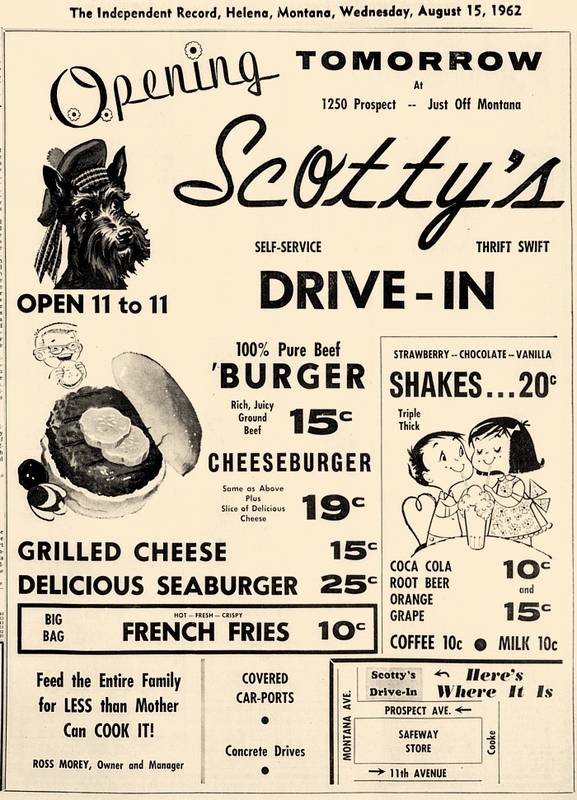 Scotty's Drive-in  1250 Prospect Ave. 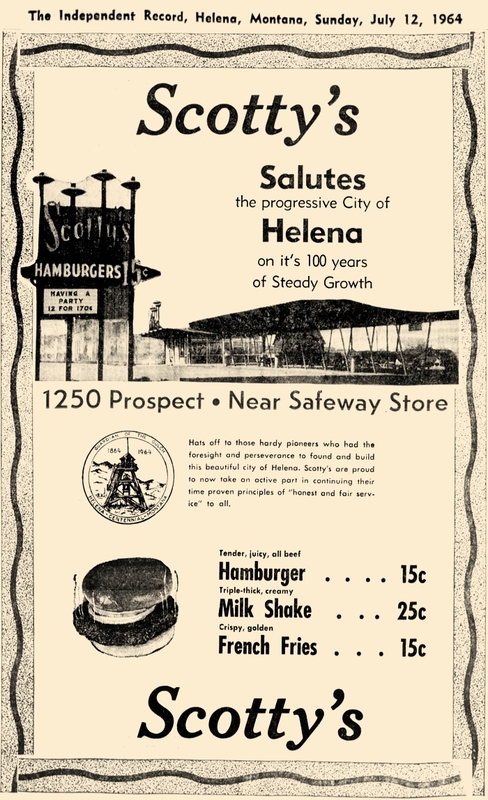 The Googie-style restaurant at 1250 Prospect opened on August 16, 1962 as Scotty's Drive-in. It was owned by Ross H. Morey (1919-1983). 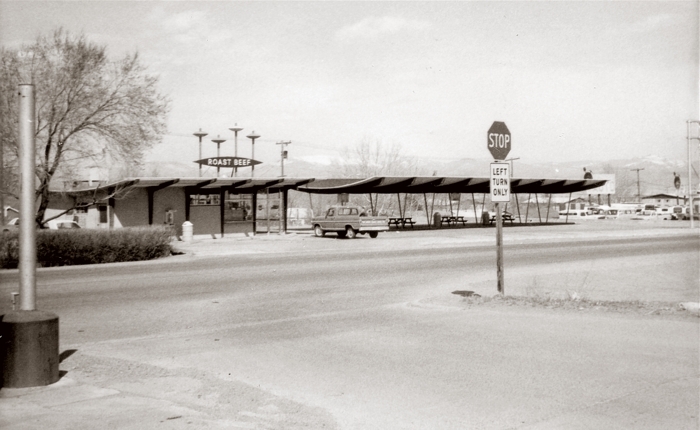 At some point in the late 1960s, the name changed to Morey's Drive-in. In February of 1970, Morey and his partner Don Hagler sold to Ken Flansaas, who also owned the Arctic Circle Drive-in on Helena Avenue. Flansaas renamed Morey's, calling it the Family Circle Drive-in. The above photo was taken around that time, in the early spring of 1970. In a few months, the name had been changed to the Family Host Drive-in. In December of 1970, the business was leased by Flansaas to Jim and Candace Brown. 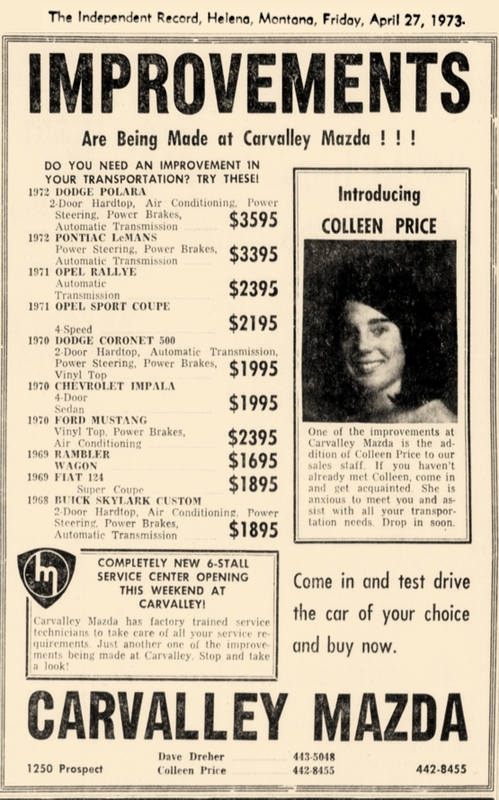 It appears, from newspaper archives, that the drive-in operated for a few more years before the building was remodeled into an auto dealership, Carvalley Mazda. The location has been associated with the automotive business ever since. As of this writing, it is the J & J Tire Center. Tax records retrieved from the online Montana Cadastral show that the main J & J building was constructed in 1964, which means it is likely part of the original 1962 Scotty's (dates on the tax records are frequently inaccurate). About 1968, the name was changed from Scotty's to Morey's. Why this was done is not known at this time. The name "Family Circle Drive-In" was short-lived. 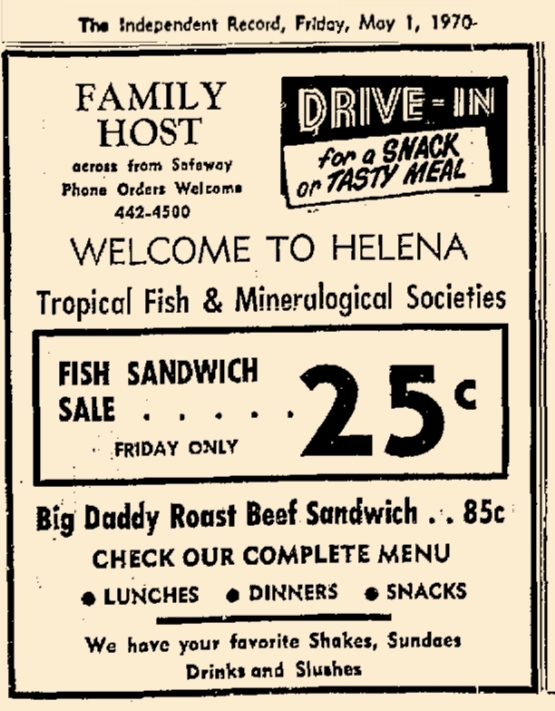 By May 1, 1970, the business was advertised as the "Family Host Drive-in". 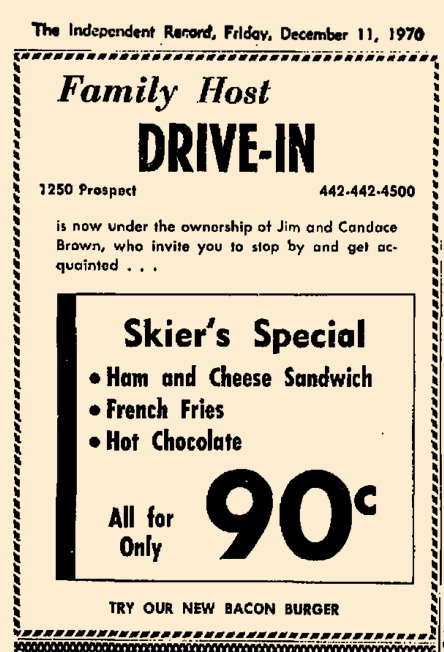 The ad says that the Browns owned the drive-in, but later newspaper legal notices mention that they had leased it from Ken Flansaas. 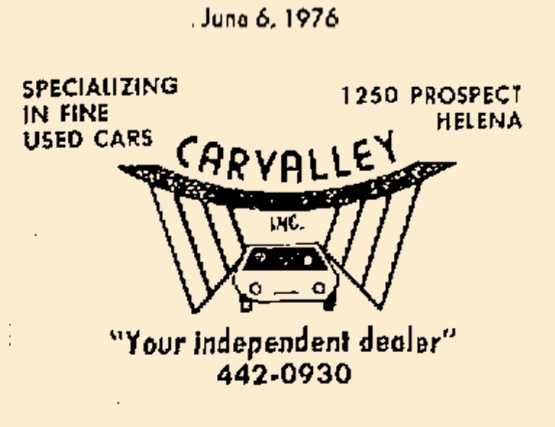 Following Carvalley at the location was 93 Auto Leasing, which was in business until about 1980.